Arie van Vliet and his Rotterdam based four piece Lewsberg have been the subject of much gushing love from janglepophub over the last year. especially in relation to their eponymous, self released debut album that we reviewed earlier in the year here. On that album was the track The Smile which has now been released in its original edit form as a single on both digital and cassingle format. 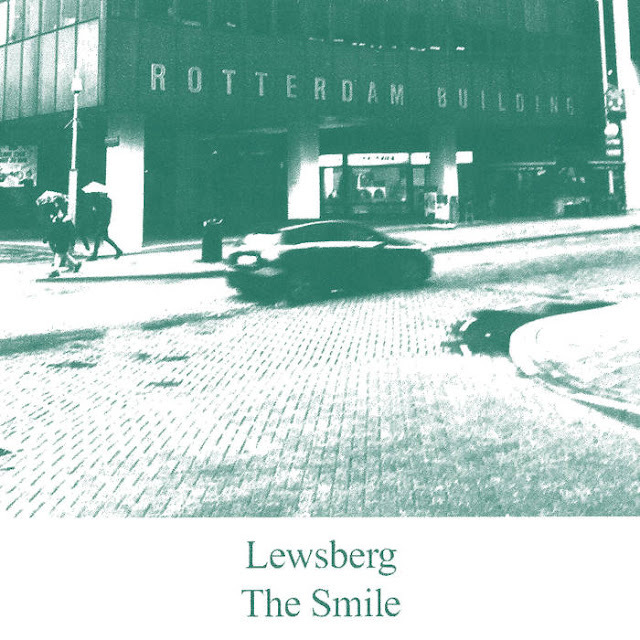 Whilst Lewsberg have always managed to imbue their sound with a strange mixture of nonchalance and muted social suffocation, this track is perhaps their most atypically vibrant,with the soft fluttering klank of the dominant riff giving way intermittently to the sort of wall of guitars sound of the early Dinosaur Jnr / Teenage Fanclub. Typically Lewsberg would not be Lewsberg if they maintained such exuberance for any significant period of time and as such the other track, During The Service, drops back into the arid, spoken word, laconic tempo that best conveys their muted disaffection, as it wraps itself around a sharp, plinking persistent riff. It's Lewsberg at their brilliant understated best. Not sure if any of these tracks are to be released on a forthcoming EP or Album...but I do hope so!